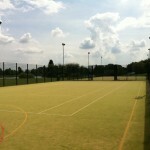 The installation of sand filled surfacing (or 2G artificial grass) is very popular for multi use games areas in the UK and provides ideal playing characteristics for a number of sports including football, hockey and tennis. The 2G sand filled surfacing is made up of a vertical pile tufted carpet with a pile height of 22-24mm which has a layer of silica sand infill installed at the base of the grass fibres. 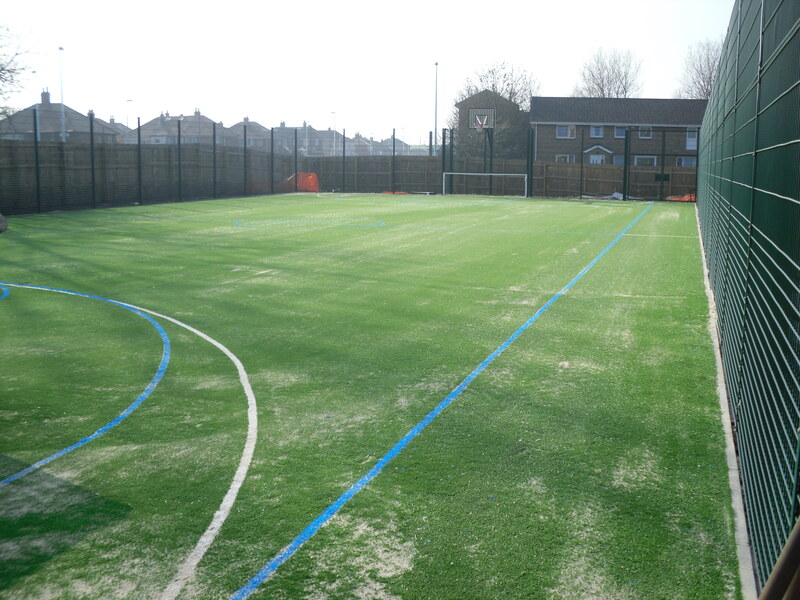 Having sand filled surfacing installed gives your school or club a durable and long lasting sports facility which will provide great performance and safety qualities for a range of sports. Inlaid line marking can also be installed in contrasting colours for a number of different sports if you choose to have a multi use games area constructed. 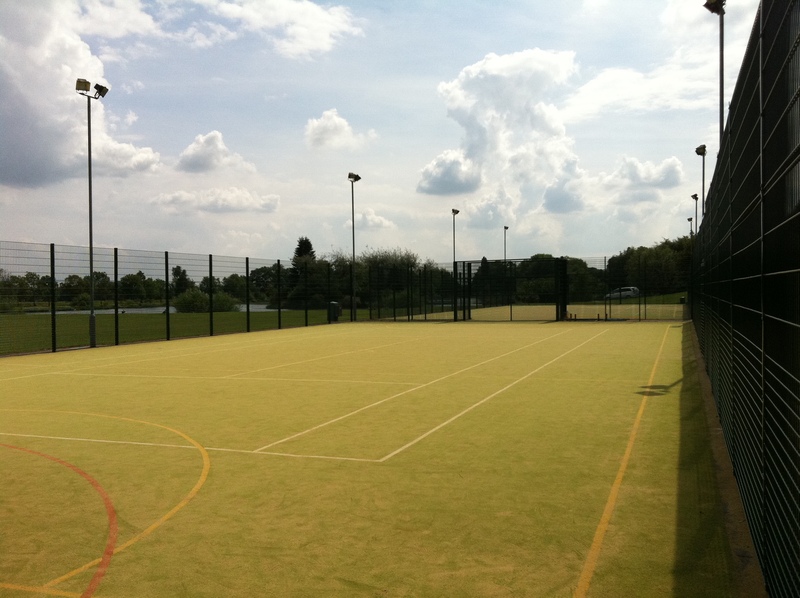 Along with the installation of sand filled surfacing, you can also choose extra sports equipment such as fencing and floodlighting which can be applied in a range of specifications to meet different budget requirements. 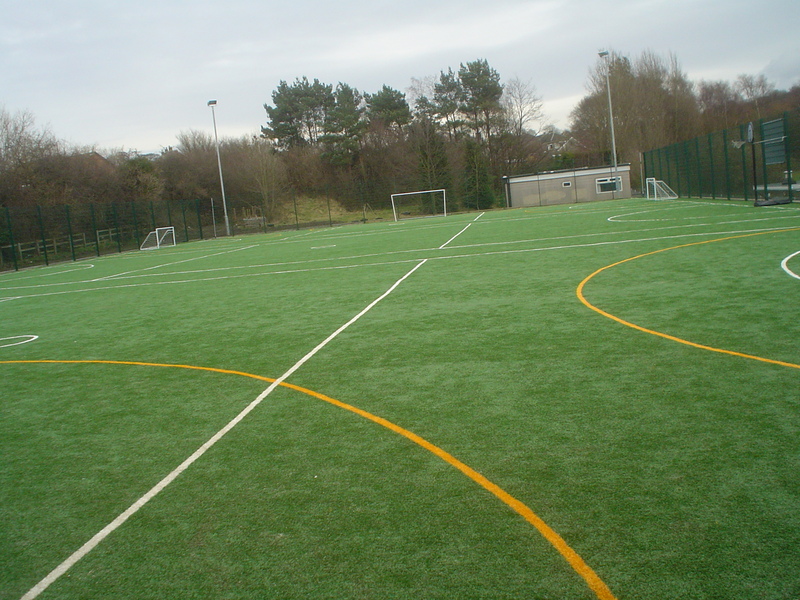 It’s always important to look at all of the additional options when you’re thinking about constructing a sports facility with sand filled surfacing, this will ensure you get the best sports surface which meets your requirements and fits within your budget. 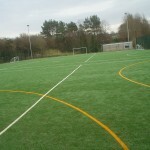 There are a number of variables which affect the costs for sand filled sports pitches, for example the area size, access to site and the surfacing specification you choose. 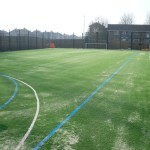 We can help tailor a 2G sand filled surfacing construction specification and price to ensure you get the best possible sport facility and to help you cut costs and stick within your budget. Compromises can be made on the additional accessories you choose to install, for example the height of your fencing could be reduced or the type of floodlighting could be changed to manage costs if you’re on a tight budget. 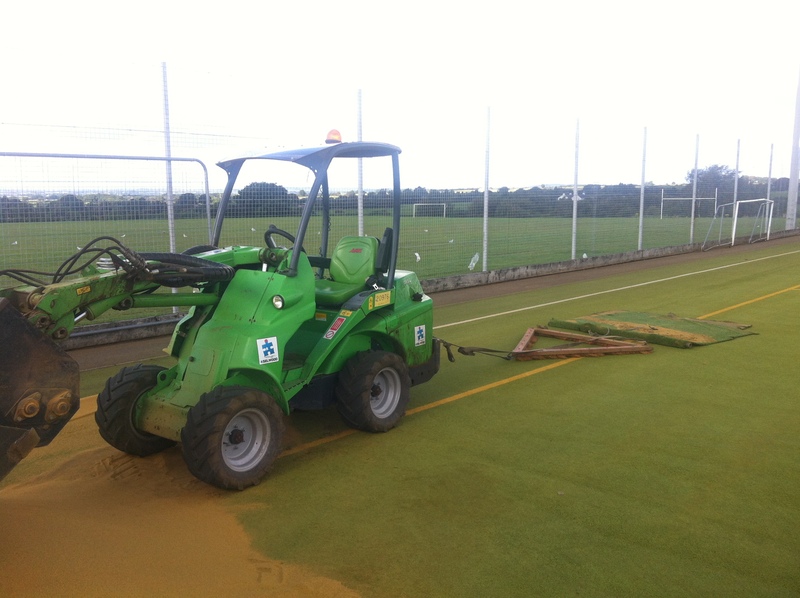 Carrying out regular maintenance for a sand filled sports pitch will also help reduce the overall costs of the facility by preventing contamination and damage to the sand filled surfacing. 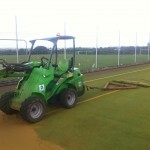 This maintenance could include brushing and cleaning to remove any dirt or debris and prevent it damaging the sports pitch. If the sand filled surfacing does become contaminated, sand infill rejuvenation may need to be carried out, this involves extracting the dirty sand infill and replacing it with new clean sand. Making sure the sand filled surfacing is kept clean and the infill is evenly distributed will maintain the porosity of the surface and prevent flooding which reduces the need for reactive maintenance to repair damage and therefore saves on costs for the facility. To find out more about sand filled surfacing and the facilities it can be used for, please get in touch with us through our enquiry form. If you’d like a price to install synthetic sand filled surfaces, please send us over the project dimensions and your post code so we can give you an accurate price quotation to carry out the work.